Elite entrepreneurs ready to claim the position of Preeminent - the best-in-class SUBSCRIBE. Become admired by competitors and respected by fellow business leaders through leading from preeminence. From selling products to inspiring movements around your organization's mission, you'll set new standards and raise the bar for everyone around you through innovation and inspiration. 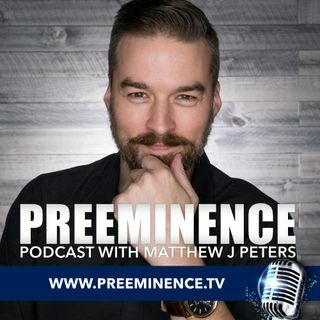 Join Matthew J Peters on this daily podcast with easy-to-digest 3-10 minute episodes. On each ... See More episode, Matthew offers a simple action step that will help you elevate your perspective and standards beyond status quo, beyond excellence so you can become the preeminent voice of leadership in your industry. 127 - Surprise! You Actually ARE Productive!